presentations through the CAM initiative run by Sita Ananth, MPH, for the Health Forum subsidiary of the American Hospital Association. 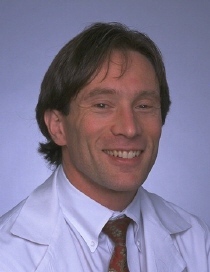 Others will know him as a former medical director of the second American Whole Health clinic and then director of integrative medicine for the 19-state health care system Catholic Healthcare Initiatives (CHI). Hammerly was also one of the first cadre of medical doctors to get his certification through the American Board of Holistic Medicine. He has a wide-ranging resume in integrative medicine. When I checked in with Hammerly post my sabbatical recently, he let me know he was still with Catholic Health Initiatives but was wearing an extended title: vice president of medical operations and integrative medicine. The title suggests an exciting interweaving of integrative practice into the very core of the CHI system. However, it soon became clear that the two parts of Hammerly's title are relatively un-integrated, except at spirit level. Hammerly is spending most his time under the new hat, as a medical operations guy - a position which has led him into the heart of the Nation's work on hospital safety issues. The story that unfolded was of uncessary deaths and of denial, of efforts to right some wrong paths and of a couple rituals which may give us guidance in finding a way to address medicine's most closeted outcomes. The conversation left us musing about all that blocks, and might release, a more deep exploration of the optimal value of CAM and IM in US health care. In his new role, Hammerly is part of a team working on safety issues across CHI. This may evoke the sight of grade-schoolers marching out to patrol cross-walks. Not a bad image, considering the focus of reformers (see below) on getting hospitals to actually follow practice guidelines which are known to save lives. In medicine these days, those who are effective in hospital safety deserve celebration as the life-saving Doctor Kildares in care delivery. deadly effects of properly-prescribed pharmaceuticals, and other conventional treatments. Hammerly's best assessment of the data puts the annual body count at 204,000-301,000 killed by medical treatment each year. A study published in JAMA put the deaths at 225,000. Medicine is, by these accounts, the Nation's number 3 killer. Based on the widely-recognized trend of under-reporting, Hammerly believes his esitmate may be conservative. The high end estimate, developed in a 2003 report led by long-time nutrition-activist Gary Null, PhD, concludes that the annual mortalities due to medical intervention are between 783,000 and 999,000. The report, based on compilations of published studies of others (in addition to those in the JAMA article), concludes that medical intervention is the Nation's #1 killer. The Response to Date: "We are still in the stage of denial"
Have we, as a nation, responded to this horror? Hammerly ticks off a couple of good initiatives. The unnecessary death of a child at Johns Hopkins prompted the establishment of the Josie King Foundation. The Foundation is taking a lead in promoting better hospital practices. Hammerly also credits Rosemary Gibson, co-author of Wall of Silence, published in 2003, with helping raise awareness of the national tragedy. Gibson shares "the heart-wrenching stories of people and family harmed by the medical system," recalls Hammerly. After reading the book, he found the "mind-numbing statistics" to be much more real and personal. The most important initiative began in 2004, when long-time healthcare leader Donald Berwick, MD of the Boston-based Institute for Health Improvement kicked off the 100,000 Lives campaign. CHI became an early member of this effort to use care management strategies to save at least 100,000 lives a year. Over 3,000 hospitals have now joined. Hammerly reflects. He views these steps as necessary, but not sufficient. He sees the current focus as "doing things right, but not doing the right things." He concludes: "We are still in the stage of denial." Hammerly notes that we can't yet easily track this public health menace: "The (US Centers for Disease Control) still doesn't list iatrogenic disease or medical errors or adverse events of appropriately applied pharmaceuticals as a cause of death." He wonders why the healthcare industry hasn't been able to respond as swiftly as, for instance, the airline industry did when it was confronted with serious problems two decades ago. Then he answers his own question by describing a "regrettably common" scenario in which a pharmacist, or a nurse, notices something problematic in a patient's chart or prescription history. When one suggests a change, "the doctor gets huffy, indignant that the nurse or pharmacist is moving into his authority area." I found myself wishing that Hammerly had more to tell me about about what he was implementing under the "integrative medicine" part of his title - where he has been relatively inactive. But I couldn't complain about his focus. that time a vice president for mission and ethics for a different Catholic healthcare system. She'd jumped into the CAM world as she thought the popular wave might energize her efforts toward creating more holistic, patient-centered care in her healthcare system. By 2001, however, Bayley had backed out of the CAM-IM world. Why? Bayley was succinct: "CAM doesn't have a chance in a system where doctors still routinely abuse nurses." If Bayley's belief is correct, then what chance has the integration of whole person care and whole system thinking in any hospital which has not aggressively torn down the barriers of denial and focused its life-saving efforts whole-heartedly on ending deaths from medical interventions? Is quality CAM-IM uptake into conventional care predicated on the humility that one may gain by realizing her or she has been - to use Hammerly's awful phrase - "supporting a system that feeds on blood." when I knew I was involved in an unnecessary death." After recounting the incident, and the ways he had excused himself from owning it, he told a story from the Christian Bible about how captured murderers were punished. "The practice is called the 'Body of Death.'" He explained that the convicted would have the hands of the dead tied to their hands, and the feet to their feet, face-to-face, and be left to stumble about the village. "What if people didn't turn away from the deaths that come from our unintended actions?" Apparently, people are not yet ready to accept this image either. The article was rejected. So how do we break through the denial? We recalled the full-page photo spread in Life magazine in 1968. We who opened those pages had visited on us the individual portraits of the 350+ US soldiers killed that week in Viet Nam. They stared back, individually, and as a multitude. The photo had a tremendous effect on bringing the war home. What if we had a similar national campaign - posting this war's dead? It would be challenging to find the pictures, and the stories. We may yet have loud calls in Congress and the FDA and NIH to create national data banks to capture any adverse effects of botanicals. But as Hammerly noted, the CDC is still not forcing death through medical intervention to be captured. Hammerly sees some grounds for hope. The Institute for Healthcare Improvement, which has captured the attention of hospitals with its 100,000 Lives campaign, "is increasingly starting to introduce the concept of patient-centered care - or 'person-centered' as we like to call it here at CHI," says Hammerly. Attendees at the yearly IHI meeting who have bought into the original process-management strategy for saving lives are now being asked to engage in what Hammerly refers to as the "nothing about me, without me" ethos of a person-centered approach. This qualitative shift is a significant opening for CAM-IM, in Hammerly's view: "There is no way you can be patient-centered or person-centered without talking about patient empowerment. To be person-centered, you must move upstream from treating disease to promoting wellness and to the inclusion of CAM and integrative care." He adds: "This is really where I see my 'integrative medicine' work focused. It's not a direct path. It's circuitous. But it is aided by some of the most prestigious thought-leaders in health care." Hammerly laughs: "I keep trying to do back-flips and reframing and manuvering to keep moving (integrated care) into the system." Hammerly expands on this grounds for hope: "In addition to the IHI's increasing focus on patient or person-centered care, the (Institute of Medicine) has defined this as one of the 6 critical aims for quality care." He explains that these IOM aims, sometimes abbreviated as STEEEP, are that care should be safe, timely, effective, efficient, equitable and patient-person centered. Hammerly notes that care can be safe, but not person-oriented. Care, in his view, can also be timely and effective but not person oriented. He adds that "you can even provide care that is equitable and not be person-centered." But in his view, the IOM's last criterion - patient/person centered care - is "the single organizing principle that should drive all that we do in health care." Why? "You can't be person-centered without doing all those other things." Hammerly concludes: "When the IHI and IOM endorse patient/person-centered care, and the American Hospital Association and the Institute for Family-Centered Care jointly distribute materials supporting these concepts, I have hope." I found the call sobering. CAM-IM integration processes may be viewed as a tortoise' work to quietly build up and reinforce some new energy in the system, energy which might be willing to engage the larger issues of American medicine's deeply troubled present. begged by CAM integration. I chose to start the paper by linking one CAM researcher's view of a an unregulated world of CAM with a Harvard's economist view that US health care is "a trainwreck in slow motion." I opined that: "In this unfriendly light, our key operational question becomes: How do we board chaos onto catastrophe?" One reminds oneself that it is good that prayer, meditation, and taking a long-view toward healing are a part of the CAM armamentarium. And while we collect stories that support the change desired, well, a little denial on our own parts isn't so bad sometimes either. Comment: To comment on an article so filled with commentary is bloggishly self-indulgent. I am called to do so by a conversation with my house guest last night, Rick Kirschner, who has made a living for 20 years writing and speaking on change issues. I'd shared Hammerly's story with Rick. I wasn't feeling as hopeful as Hammerly. (In fact, Hammerly had me include more of his positive perspectives after reviewing my first draft of this piece.) I am not so convinced about our ability as a people to respond effectively to a horror of this magnitude. Rick warned me against creating such an unwanted future by investing my spirit in a negative outcome. I replied with my desire to neither view this pessimistically, nor with false hope. My father liked to say that "the problem with positive thinking, is sometimes you miss what's going on." Our walking paradox seems to be to warm to, and celebrate, the emergent and good, as Hammerly does, and to add to it as we can, while at the same time, in the poet William Butler Yeat's hard phrase, "casting a cold eye on life, on death ..."